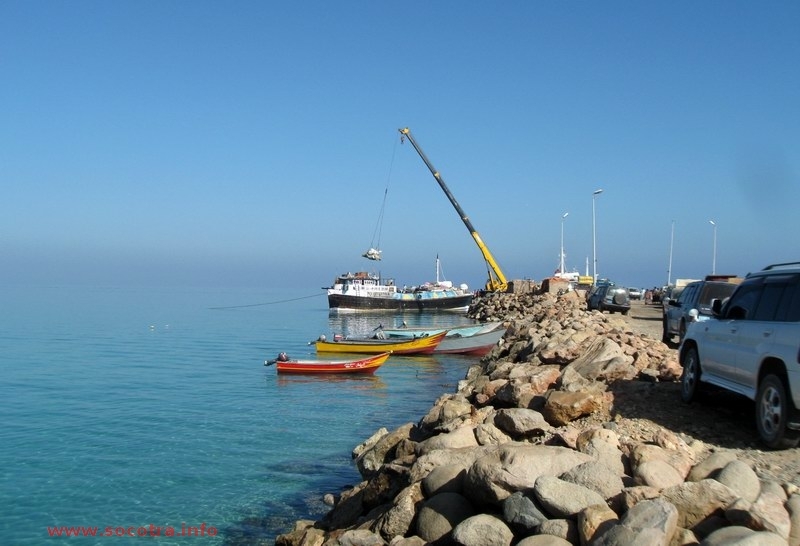 Our agency "Socotra Tamam" started working as an agent for sailors coming to Socotra island. Sailing boat "Delta" became our first customer. Russian sailing yacht Delta, 10 metres, aluminium, crew of two people, captain Andrey Nevzorov. More information about our navigations in English is available on www.theglonass.com. On our way back from a circumnavigation, in March 2014 we started from Uligamu, North Maldives, headed to visit the Socotra island in Yemen and become the first sailing yacht to come there. We had a short stop in the North Maldives. The check-in payment was 160 USD on Uligamu island. The only store there has a very small choice of food, and water is very expensive at 0.2 USD per litre. Our anchorage was at 07-04.7 N 072-55.1 E. Do not enter the fishermen harbour, it's criss-crossed with lots of ropes under water. Dinghies can be left in the harbour. All formalities take place in a building about 200 m left from the harbour. Nearby, close to Uligamu, lies the very beautiful uninhabited island of Vagaaru (07-05.4 N 72-52.7 E). Excellent snorkelling, slight pitching on the anchorage, strong current. On 27.02.2014 we set out to Socotra taking the 270° course with a north wind of about 10-15 knots (beam reach) with good speed. Approximately after 65°E the wind started changing to east. This allowed us to rise north keeping the beam reach course. After 13 days of navigation and 1150 nautical miles we came to Socotra. So why did we go to an island, which is highly advised not to visit due to piracy? My friend, Denis Romanov, has been living there for 7 years, developing his tourist business. 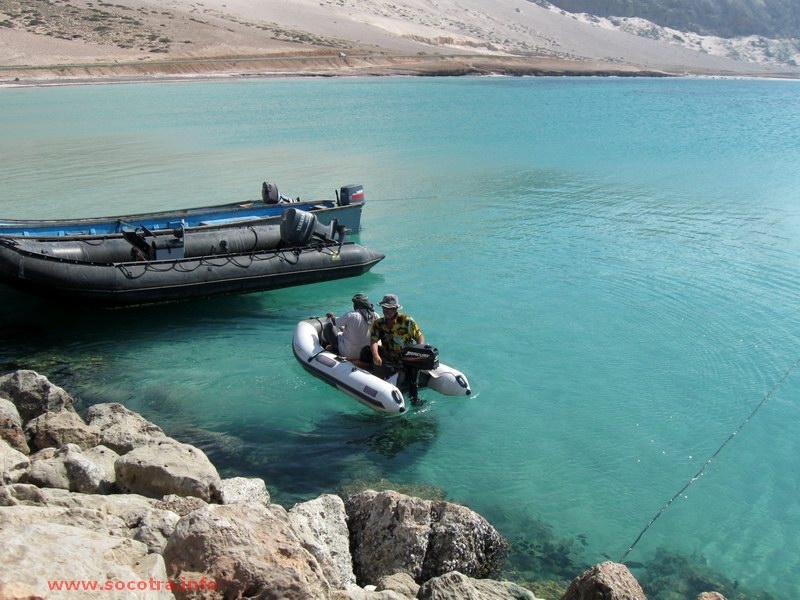 He assured us that Socotra is a very beautiful, hospitable and safe island with no piracy at all, and locals are very interested in developing tourism and in yacht visits. We decided to check this information. Near the island the wind changed to east allowing us to easily sail around the eastern extremity of Socotra, dangerous for its sandbanks reaching far into the ocean and strong currents, at a distance of 10 miles. The entrance to the harbour, where the pier and anchorage are located, is safe, and the harbour itself is closed from winds and waves from the north-east, which predominate during the winter season. The guiding landmark to the harbour entrance is a tall sand dune with an oil storage facility under it. Entry at night is possible, but not recommended due to local trade ships anchored with no lights. From the point 12-41.4 N 054-04.4 E you should navigate visually. To get to an anchorage spot, you need to pass the anchored cargo and fishing ships and drop your anchor at a depth of 5-7 metres about 0.2 miles west of the pier in order not to be in the way of small trade ships coming to the side of the pier. There are moorings, but we haven't checked them, so using your own anchor would be best. Holding is excellent. There are no waves. Dinghies can be parked on a small beach near the western base of the pier by the port security tent. The system of yacht reception is not fully established, so it's better to inform about your visit a few days in advance sending an e-mail to the Socotra Tamam tourist agency at office@socotra.info (Denis Romanov or Ghanem Hassen, tel. +967-771738887). 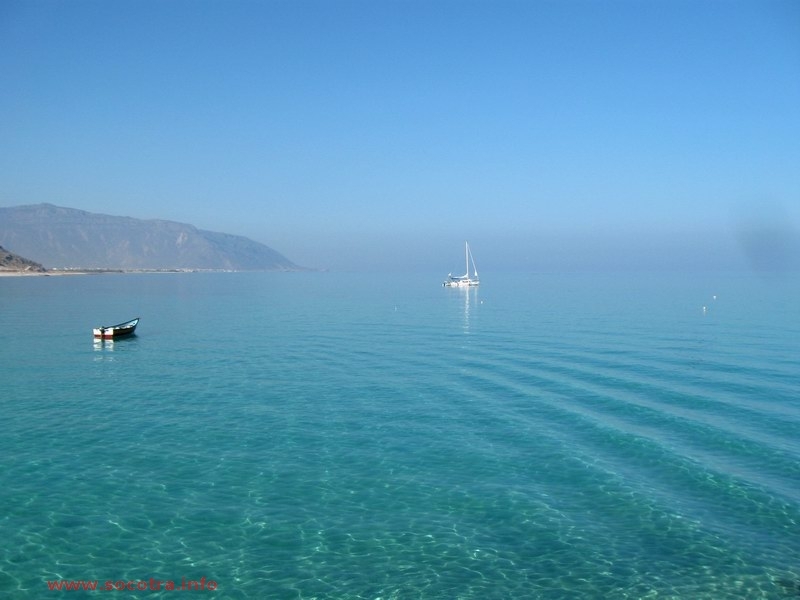 This agency provides a full range of services to all yachts and crews visiting the island. They will inform officials about your visit and prepare all necessary papers. Furthermore, they can arrange a programme for visiting Socotra. When you enter the harbour, a security boat will meet you and help choose a place for anchorage. A port official will check the number of people on board, after which you will be allowed to go to shore by dinghy. Port staff will need your passports, ship papers and last port clearance for check-in and visa. At the same time a customs officer will do a quick check of the ship. Being the first yacht to come to the island, we got all formalities for free. Future formalities will cost about 250 USD including agent fees. To get a Yemeni visa you must have a medical certificate for AIDS. We didn't, so they offered us to make vein blood tests in the local hospital. They did it for free, in a modern, European level hospital. The hospital's chief doctor assured us that in the future this requirement will not be applied to yachtsmen. In our case, we had made Yemeni visas in advance, by e-mail (you send a scan of your passport, and when you come, they give you a visa automatically). 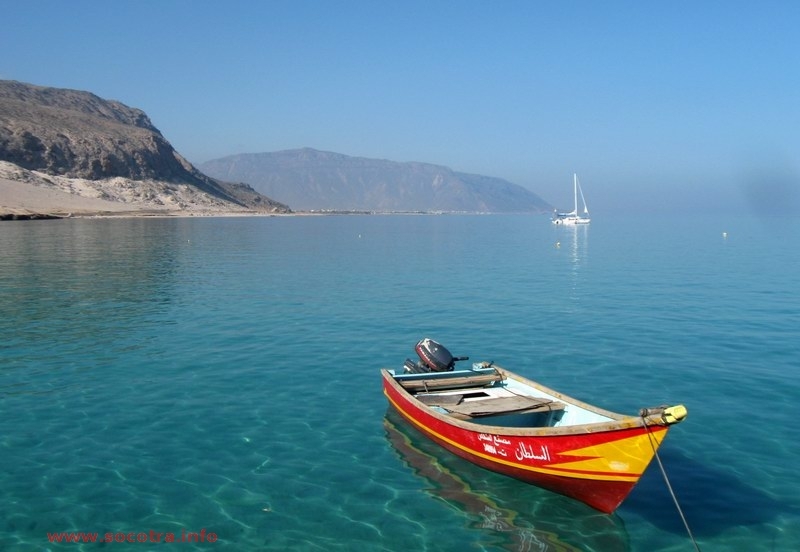 However, by Yemeni law, you can receive a permit to come ashore without a visa. Immigration authorities collect your passport and give you this permit. The only exception to the rule is the port of Hodeida, where yachtsmen are strongly advised not to go (more on this below). The capital of Socotra, Hadibo, is 10 km from the port. Attention – there is no public transportation between them. We used transport from Socotra Tamam. In the city, there is a good choice of fruit, vegetables, fish, seafood, you can even find goat’s meet, excellent sweets and bread. Make sure to taste local bananas, papaya and tomatoes. Local goods are very cheap. There are lots of shops with imported basic goods at close to European prices. Besides regular goods, we recommend to buy on Socotra: natural dried milk (very high quality), ghee, dates, sherbet, halva. And the excellent Mukalla canned tuna. Fuel (in small amounts) can be bought on a petrol station on the way from the port to the city. If you need more, they can deliver to the pier. Price for diesel is 15 USD per 20 litres, and petrol is at 0.7 USD/litre. You can get fuel from tank truck at commercial prices for cargo ships. Water can be delivered to the port by tank truck at 20 USD for 1,000 litres. Also you can fill your scuba aqualungs and arrange a bilge cleaning. As for repairs, you are limited to what local car garages can offer. The local currency is the Yemeni rial. The exchange rate is stable at 215 YER for 1USD. Dollars and euros can be exchanged in the city, and there's also an ATM. Internet connection on Socotra is quite slow. There is only one internet café in the city, open at evening time and charging 10 USD per hour. We used free internet at our agent’s office. Socotra is definitely a must see island. After having circumnavigated the world and visited beautiful islands in the Atlantic and Pacific oceans, including the Galapagos islands and South-East Asia, we were amazed by the pristine beauty of Socotra and the friendliness of its people. Socotra is unique island, it has remained unchanged for thousands years. The things you'll see there you can’t see anywhere else. There are still not too many tourists there, about 3,500 per year, mainly from Europe, Russia, US and Canada. Hadibo itself is not a place of interest. To see real Socotra you need to go out of the city, preferably for a few days. 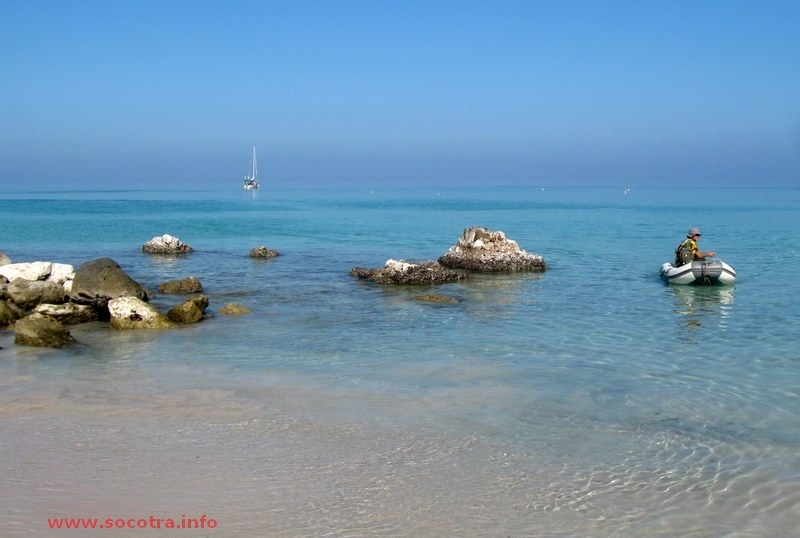 The optimal amount of time to get acquainted with Socotra is one week. 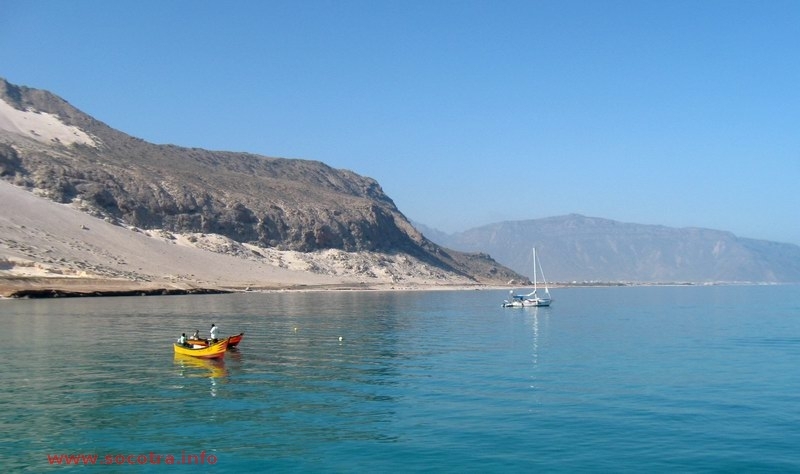 We highly recommend you to order an excursion with the Socotra Tamam travel agency. This guarantees you the best quality and the most interesting and well thought-out programme. Denis, the owner of this company, is also a highly experienced surfer and yachtsman, so you can speak the same language. He knows every stone on Socotra, and will gladly share his knowledge and impressions. Also he can help with transport, shower, laundry, etc. Last, but not least, you can have some good food in his his restaurant. Unfortunately, our time was limited, so we spent only 4 days on Socotra. Together with Denis we visited the central part of the island to see the famous unique dragon trees. Some of them are as much as 1000 years old. Also we saw frankincense and myrrh trees. After coming down by a beautiful serpentine road we took a bath in a natural freshwater pool, and at sunset we visited the snow-white sand dunes on the island's south shore. We spent the second day on the north-eastern part of the island where summer monsoon winds form a lot of tall dunes. Denis took with him special boards for gliding on sand – sandboarding, and we enjoyed very fast downhill rides. Sandboarding is amazing, but it's a sport for people who don’t suffer much from panting while climbing. We regret very much not having had the time to see the unique Hoq cave, the mystical Valley of Dreams, the Shuab harbour, the Lost World where the biggest 'bottle trees' grow, and many more places. But one day we’ll come back. There are three regular flights per week from Socotra to Sana'a (the capital of Yemen), which is connected by international flights to the rest of the world. The cost of a ticket is 215 USD. There is also a Saturday flight to Sharjah (UAE). We want to point out that we speak about it based on our own experience and after conversations with Socotra officials, fishermen and locals. There are no pirates on the island nor around it. Locals are very friendly, they don’t have any weapons. 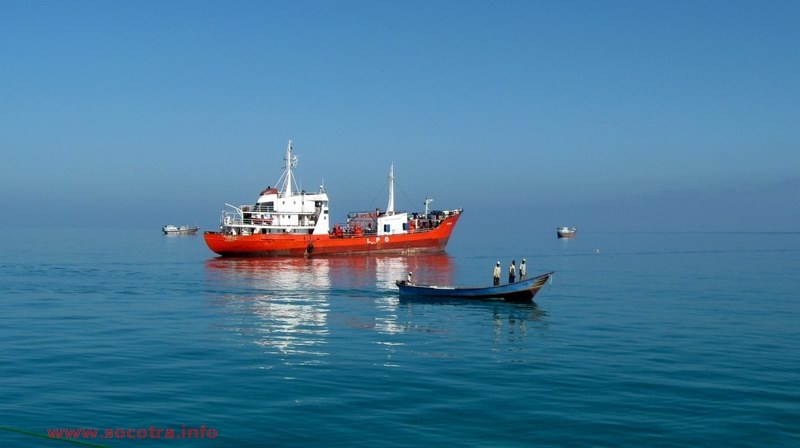 Socotran fishermen constantly patrol all waters around the island and up to 52°E to the west, where the Yemen-Somalia border is, until the islands of Samha, Darsa and Abd al Kuri, where a Yemeni military unit is located. In the last few years no locals have seen any pirates. We left Socotra with an east wind of about 10-15 knots, and took the 254° course to the point 14-31.2 N 052-57.5 E, crossed the safety passage for cargo ships, and followed parallel to it for about 10 miles north to 12-05.7 N 045-00.6 E. We kept in a good radio connection zone with cargo ships, just in case. During our navigation we were constantly followed by coast radar stations of the Yemeni Navy (according to our radar detector). A Yemeni Navy helicopter flew around us three times, and we saw a coastguard ship as well. We had a very negative experience in the Hodeida port, where we needed to drop off Denis who sailed with us from Socotra to the Red Sea. The Hodeida commercial port is absolutely not suited for yachts and small ships. 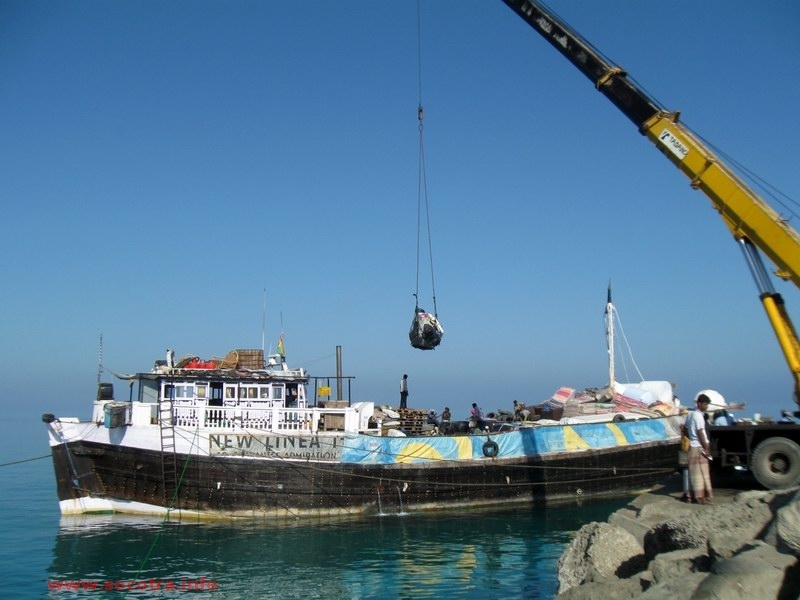 Entering the Hodeida port, you risk to spend 1,500 USD for two days (like us!) of mooring by a broken pier without any conveniences and without a chance to go ashore, since the port is a restricted facility. Better forget about it. But we have information that in the port of Aden the situation is opposite and there is no problem for yachts to enter. Our friends (sailing at the same time on a ship called Anima from Oman to the Red Sea) visited Aden for food and diesel. They paid about 200 USD in fees, and had no problems whatsoever. In our opinion, navigation from India, Sri-Lanka or the Maldives to Bab-el-Mandeb with a stopover on Socotra is a good alternative to navigation with stops in Oman and continental Yemen.